The information presented on this page was originally released on May 26, 2003. It may not be outdated, but please search our site for more current information. If you plan to quote or reference this information in a publication, please check with the Extension specialist or author before proceeding. At a garden center recently, I saw one of the best buys in flowers just waiting for a good home. This plant was offered in feathery plumes, cockscombs or flowers resembling wheatears. You guessed it -- it was the celosia. If the intense heat we have endured so far this summer sends you looking for long-lasting, tough color -- look no further than the durable celosia. A valuable source of color when summer has flowers looking tired, the celosia is also a popular cut flower. It is perfect for drying or using in floral arrangements. This trouble-free plant may benefit from a fungicide application during abnormally wet summers. 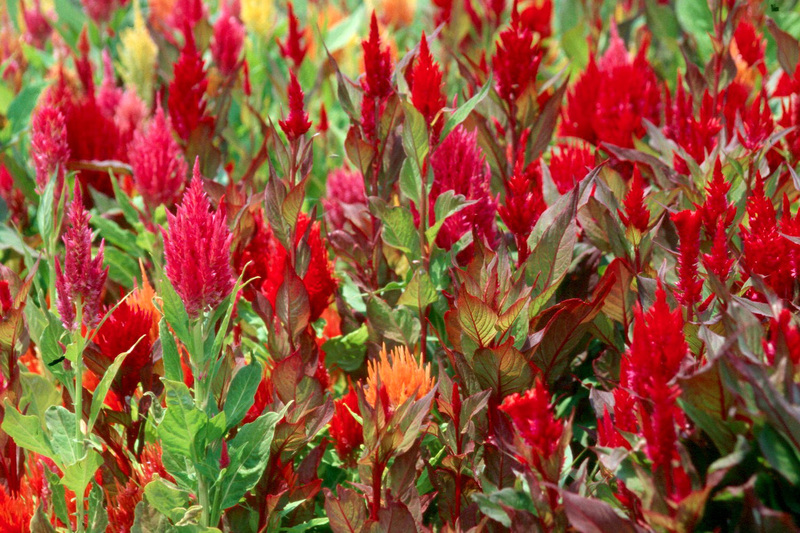 Feed the celosia with a light application of fertilizer every six to eight weeks to keep it growing vigorously. Don't be afraid to mix different colors of this plant -- the result will dazzle you. The colorful, plume-like flowers are showiest with a backdrop of green shrubbery. The wheat-formed selections give a light, airy, native-prairie look to the landscape. Combine them with plants like gomphrena and ornamental grasses. Popular Crista, or cockscomb, varieties are the Bombay and Chief series. Fireglow was an All America Selections winner in 1964, and the multi-flora Prestige Scarlet received that honor in 1997. In the Plumosa group, those with a feathered look -- like the Castle, Century and Kimono series -- are among the most recognized. New Look was an All America Selections winner and a Georgia Gold Medal winner. In the Spicata group, Flamingo Purple and Pink Candle are two of the best. Don't let a little abnormal heat keep you from adding pizzazz to your landscape. Find celosia varieties at your garden center now.